MPs speaking in a debate on the effect of advertising on childhood obesity have called for a ban on TV ads for foods high in fat, salt or sugar before the 9pm watershed. 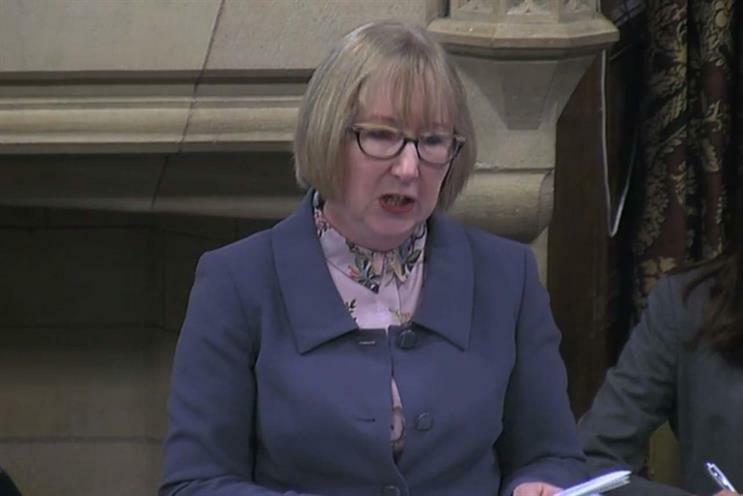 The debate this morning was brought by Conservative MP Maggie Throup, chair of the all-party parliamentary group on obesity. In a strongly argued introduction, Throup argued that the problem of childhood obesity was becoming more severe; that it was closely linked to social and economic deprivation; and that the children most likely to be affected were exposed to much more advertising for HFSS products. "If you’ll excuse the pun, the issue is getting bigger," Throup said. "23% of Reception children are overweight or obese, rising to 34% of year 6 children. "The poorest UK households are exposed to double the amount of TV food ads compared to the most affluent viewers. "With food advertising in the UK disproprotionately featuring unhealthy food items, and young children especially vulnerable to marketing techniques that promote unhealthy foods, the pervasive harms of adverts place untold pressure on the poorest in society." Throup cited data suggesting the time that children saw the most ads on TV was between 7pm and 8pm – when ads for HFSS are typically allowed, unless the audience is at least 25% children. Meanwhile, 59% of food and drink ads shown during family-viewing time would be banned from children’s TV, Throup said. She welcomed an update to the rules for advertising HFSS products in non-broadcast media introduced last year, but also backed a call made in 2015 by Public Health England for a ban on TV advertising before the 9pm watershed. Throup also said it was time that this issue was the responsibility of the health department, rather than the department for digital, culture, media and sport. Cancer Research UK has called for a ban on high-calored food and drink TV ads during talent shows and live sports after its report drew a link between TV advertising and childhood obesity. Throup called on TV celebrities to take a leadership role in calling for change. "It’s not an accident of scheduling these ads are run alongside some of our biggest shows," she said – referring to the likes of The X Factor and Britain’s Got Talent. "If we are truly to affect change, we need star power on this issue." This meant the likes of Simon Cowell, Ant and Dec, Dermot O’Leary and Amanda Holden needed to step forward and "say they will no longer be used as a hook" to advertise unhealthy products. Among those backing Throup’s calls was fellow Conservative MP Andrew Selous, who said: "All of us as taxpayers have an interest in this issue. It’s also an issue of social justice." Selous pointed to examples from other countries he argued the UK should learn from. In Thailand, he said, there was evidence that showing the cartoon Popeye on TV had led to kids who watched it doubling their intake of spinach and other green vegetables. Meanwhile in Amsterdam, a locally led approach which has included banning junk food ads in metro stations, has led to a 12% reduction in childhood obesity, and an 18% reduction among the most deprived children. He also called on an extension of the sugar tax, which comes into force in March, to other HFSS products. "If we’ve established the principle with sugary drinks there’s no reason why we should not extend that to other foods," he said.